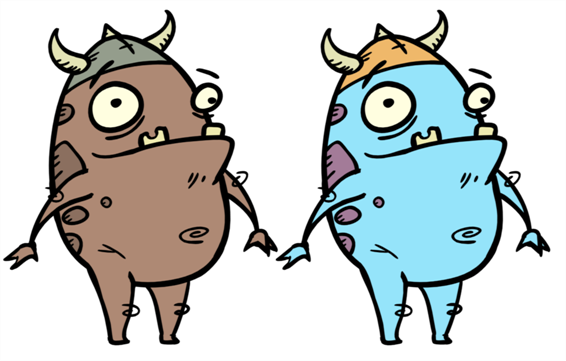 The Colour-Override processes the colours in a drawing layer. The drawings in this layer must be TVG files. Using this effect you can change colours from the palette without affecting the actual palette, swap clone palettes, replace a specific colour zone with a bitmap texture or hide and display selected colours. • Change colour values in drawings during the compositing process. • Use colour values from a specific colour palette in the palette list. • Establish the priority of override palettes in the palette list. For example, you may have different clones of the same palette, for example a daytime and nighttime version. • Isolate specific areas of a drawing by selecting certain colours. For example, using specific colours to generate a matte for a glow effect. 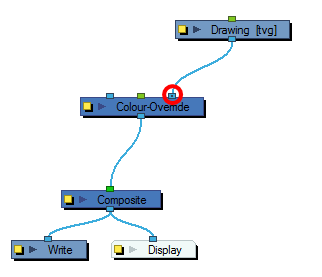 Use the Colour-Override editor to set the colour override operations for TVG elements and their drawings.